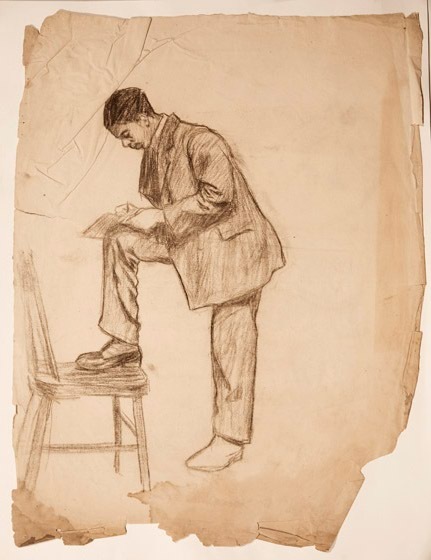 The well-dressed young man seems to be drawing, raising the intriguing possibility that this might be a portrait of Henry Ossawa Tanner, whose attendance at the Pennsylvania Academy coincided with some of the time that Trego spent there. The paper is discolored and brittle. There are losses along the edges, particularly on the bottom.